To make sure you get the best deal we'll show you great prices from all of our drivers, including Q. Removals , if they're available on the day of your move. Have a question for Q. Removals ? No problem, send them a message and they'll email you back as soon as possible. If you have a more general question you might find it answered in the FAQ, or you always contact one of our brilliant customer service team. * Q. Removals won't be able to see your email address. We offer the highest quality and lowest cost services. We are here to give you our service 24/7 and we won't be beaten on quality and price. Our reputation speaks for itself. please mention stairs and the number of floors. The number of men required, and we will send you a fixed price for your move. We are happy to undertake both short & long distance moves. Customer satisfaction is our top priority. Our valued customers are always put first (before profit) and we love to go the extra mile. We aim not only to meet your expectations but to exceed them by far. A First Class removal service at ‘cheap, Man & Van’ rates. The guys were informative throughout and ensured that I was happy. I had heavy garden pots to move and both men worked tirelessly, loading and unloading. They were efficient, cheerful and polite and made my move so much less stressful than it might have been. Top guys! Addison and his colleague did an amazing job today, in spite of delays and massive under-estimation of how much stuff we had from our side... they were really patient and friendly, and really careful with our endless mountains of boxes! They are very helpful nice people and well respect 100% I recommend . Very good organising your stuff well protected . They are really good for what they doing. Bringing their own tools if needed thank you so much for doing a good job. The whole move was made very easy and I'm grateful for that. Effective, respectful and professional. Would definitely recommend using their services. Addison was a superstar. Would definitely recommend. So much easier than hiring a van and driving yourself. Addison is incredibly professional, has a great team and nothing is a problem. Super impressed. The movers were great, they were careful with my stuff, text me when they were on the way and were super friendly. Brilliant service, speedy, polite, helpful, thoughtful. Would not hesitate to book again. Really great work. I just wanted to say a big thank you to Q Removals. They were both extremely helpful and professional during our office move yesterday in London. Would highly recommend their services and will definitely use them again in the future. Thank you again. The two guys that came were absolutely lovely - friendly and helpful and very efficient. Perfectly problem free. Friendly and very helpful. I would definitely use these guys again. They were very happy to get the job done properly and without a fuss. Would recommend. Exactly on time, very nice and the most careful mover I've ever had. Really friendly , helpful and fast ! Fantastic, friendly and super quick! Will definitely use again for any future moves. Really good and very happy with the team. Addison and his colleague were great. Both experienced and enthusiastic. 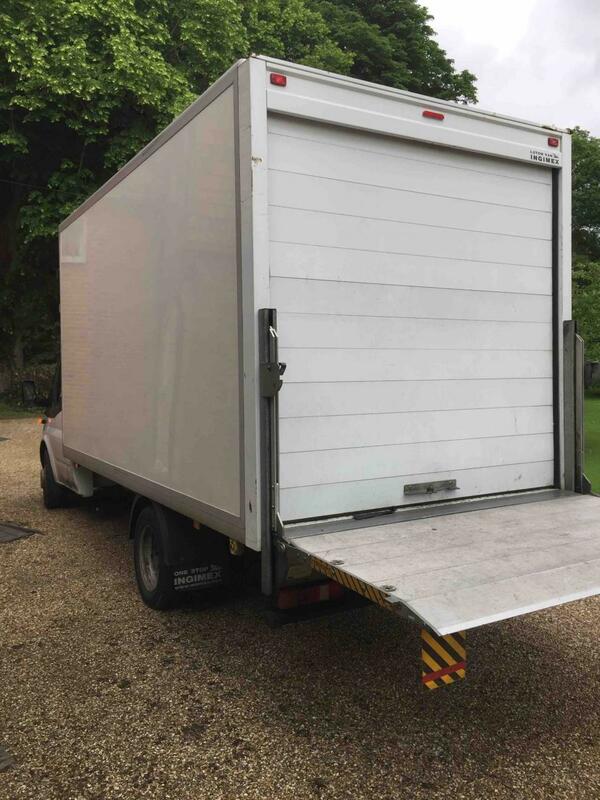 Although they arrived a little late due to traffic, they did a great job moving a full Bedford/Luton van load (including some large valuable items) from storage to our new house. Very nice chaps too. Wouldn't hesitate to recommend. The guys were fab. Super fast, friendly and efficient. They made our move stress free and did a great job. I will be recommending them to friends and family. I booked a van and the assistance of 2 men. Couldn't have been happier with the service and will endeavour to use the same company for all future moves. They were easy to get on with, very respectful, rapid and carried out the move with a great level of care. Look no further. Thanks again! They were amazing! Would hire them again and recommend them to everyone, a job well done, thank you! Worked hard, did a top job. Addison and James were brilliant. They took the sting out of a day I had been dreading. Even though they were caught up in M6 traffic, they kept smiling. Thank you for all your help. Excellent service, prompt, polite, friendly & hard working...couldn't ask for anything more. Friendly, helpful and professional service. Would certainly recommend. Lovely guy and very helpful. Would recommend him and would use him again. Many thanks for the help with the move. Great friendly guys! The drivers are really helpful and nice! Will definitely recommend their service! Good guys who did the job with smiles on their faces! Thank you! The most efficient team I ever worked with - thanks guys! The guys managed to get it all done well within the time and even took apart and rebuilt a lot of furniture. Great service. We booked for the way there and also some different people to help on the way back. Both times they we're so quick and efficient with packing and unpacking, and incredibly careful with my items. They left with plenty of time and were actually 15 mins early delivery on the other side. Will definitely be using again. Addison and Bradley- top blokes. Thanks! Addison was amazing! We had an excellent move! Ever so helpful and made a very stressful day so much better. Thank you so much for all you help today. We had two moves and unfortunately he was 30 minutes late the second time. Apart from that he was very respectful and got the job done. We once again apologise for being late, due to unforeseen event. Considering we had to assist with the move and add an extra stop to the move which wasn’t paid for. Is more than enough compensation for being 30 min late. Driver was great! But he was a replacement for late running earlier driver, and still ended up an hour late. I had to call to find out why they hadn’t turned up so not very well communicated. Fantastic service! Would recommend to anyone hands down. Overall the guys did a good job. Had to drive through central London which can’t be easy in a van. Took a wrong turn which cost us quite a bit of time which added to the cost. Only breakage was a cheap mirror so reasonably satisfied. We’re nice guys so would probably use them again. Thanks for the feedback, we once again apologise for being 10 mins late to the job, due to heavy traffic. we missed a turning in Central London which made the sat-nav recalculate and take the next junction. This probably added a maximum of 5 mins to the journey time. We once again apologise for the broken mirror, considering we did advise you that only the mirror would not survive the journey due to the amount of goods in the van and you said “ if it breaks it’s breaks, it’s only a cheap mirror”. Overall, it was lovely working for you. Addison and Sean were heroes. It was raining cats n dogs and my room was on the 2nd floor. They were cheerful, never complained and were great fun to drive to my parents with. Am definitely booking for return journey and with much thanks. Strong men, safe drivers, took care of all my stuff - highly recommended. They are very kind and helpful! Very impressed. Polite, efficient and nice guys to have around. We will book again! They went above and beyond to make our move as as easy and stress free as possible. Really friendly men who worked so hard. Very quick, respectful and we would definitely recommend!! Thank you for making our move run so smooth and easy! Very helpful, polite, friendly! Would definitely recommend!! Best moving guys ever! They were super helpful and fun! I have moved Many times and never had so much fun! Thank you. Very helpful guys, really quick and easy move. Couldn’t have asked for anything more. Addison is a great guy, very professional, friendly, made for a very enjoyable move - thanks Addison! The guys were absolutely amazing. They worked very hard and very efficiently. They were also very professional and kind. I would definitely recommend them. Addison was great. Would highly recommend. The boys were brilliant and polite and made the move really easy. They were respectful to my property and also careful with the paintwork etc. I would highly recommend them. Very smooth move. Great guys! Great guys and real professional. Will defo use again! Addison an Dells provided a great service. They were on time, we’ll prepared and careful with the more fragile items. I would definitely use them again. Thanks. Was short notice and a Sunday morning. No issues. Extremely helpful & very efficient. In his own words 'a legend'... Would highly recommend. The driver and helper were perfectly fine, but lacked the level of respect that one would expect them to have in regards to our furniture. The sofa was torn, and a leg was broken off the base of our chest. 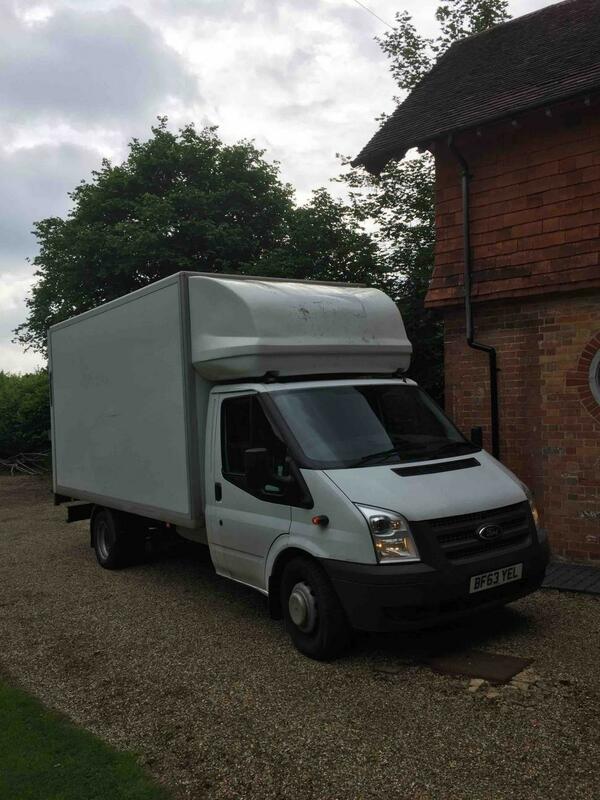 I would consider compare the man and van for smaller items, but will revert to a traditional removal company for future moves. Brilliant-highly recommend. Only late due to traffic. The driver was 10 minutes late, but he did phone to let me know that he would be late. 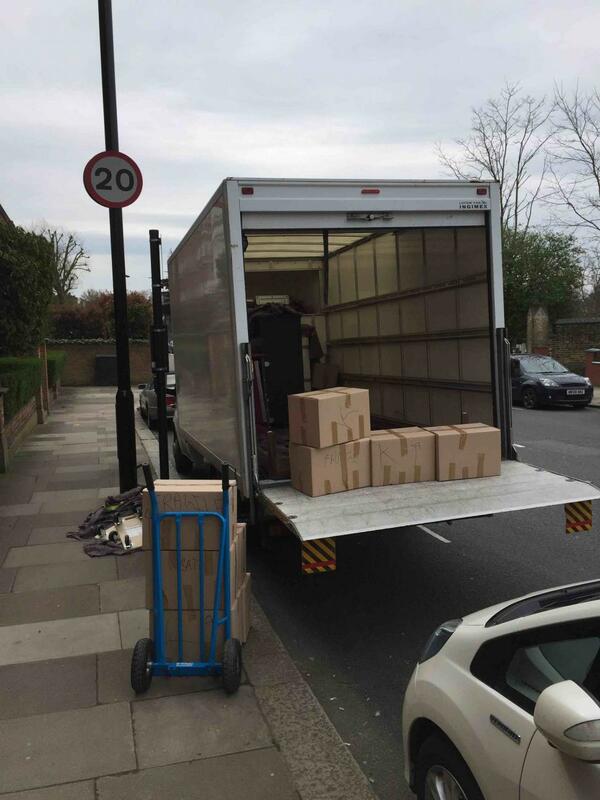 The items were moved from storage to my home without any problems, the whole move was carried out in under 2 hours. I would highly recommend Addison, he was polite, really hardworking and very professional. Thank you for making a stressful day less stressful. We could not have had a better experience with Addison and Dells - best move my wife and I have ever done - and the quickest. Addison was brilliant value for money - arrived bang on time, had all of our stuff (half of a 3BR terrace, including a 7-foot antique pool table) loaded up within an hour and then drove the 30 miles to Guilford and help us pack it into our storage unit. We would absolutely go to Addison again the next time we need to move - a very nice and friendly removalist and extremely helpful and professional. Excellent service. Thank you. Driver and assistant were extremely helpful and polite. I would recommend this team. Great service and very helpful guys. I will definitely use Addison and the team again. Very calming with a can-do attitude! The driver contacted me with plenty of time before to say he would be 15 mins late due to the traffic so not an issue at all. Addison is an absolute legend. His infectious positivity and relentless work ethic was just what we needed to get us moved in a day. Couldn't recommend him highly enough. He was kind enough to work a double shift at the end of the day after moving us in the morning, giving us time to flatpack the last bits...even lending us his tools! Everything arrived safely and not a scratch on the walls. Book him! he was really kind and lovely be he was over an hour late(even tho he called) . Excellent experience - both guys were super friendly and made the move so effortless, thank you - definitely recommend! We are sorry that your original driver was so delayed to your booking, but pleased that we were able to supply you with a replacement service and you were happy with the service you received from the driver. The driver was so friendly and helpful, he made the whole process much less stressful. Thank you! Addison was very relaxed and friendly, which is always helpful during stressful moves! His customer service attitude is fantastic. Would definitely recommend him. The guys were great and very helpful. They carried everything carefully and they were very polite. I would highly recommend them. Nice and friendly and was respectful in packing our belongings carefully. I underestimated time needed and driver had another job after mine. Felt that he dumped and ran. Also charged extra £40 for three items which would not fit in the lift. Even if a driver has another booking to follow on to, he will always stay until your booking is 100% complete. In addition, as no stair charge was added to this booking, if you subsequently request that the driver carry your goods up or down any flights of stairs, he is entitled to charge his stair charge for this service. He Had a can do attitude and was respectful with the items. Would recommend him to help move. Telephonist very respectful and helpful. I booked a van and 2 helpers to move our house today. Addison called and said he would be 15min late due to traffic in the area .I didn't mind, as we were still packing the few last bits into boxes . They both assessed what needed to be done and we all got cracking. We had the van packed up and ready to go in no time at all. I asked them if we could pick up 2 sofas I had bought online and they were happy to make the extra stop at an agreeable fee. Thanks for such good customer service. I will definitely recommend you to my friends and family! Addison and his friend are really really good ..They made the difficult job look easy and were very pleasant to deal with and I strongly recommend them. Fantastic experience. The driver was professional and very friendly. Thank you for everything! Had a great experience with Que Removals during my move from London to Bristol. They were extremely helpful and patient whilst loading the van, taking care with all valuable items. It was a long drive to Bristol due to traffic out London but they continued being professional throughout and all in all made it a very stress free move. Would definitely recommend their services. I highly recommend this five star van driver, punctual, courteous , helpful and safe driving. will use again. Thank you! The service was fantastic. Addison and Simon were both excellent, taking great care with our possessions and were both professional and friendly. We would highly recommend them for any removal service.